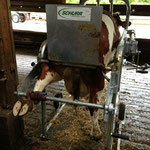 Good facilities can reduce these problems. 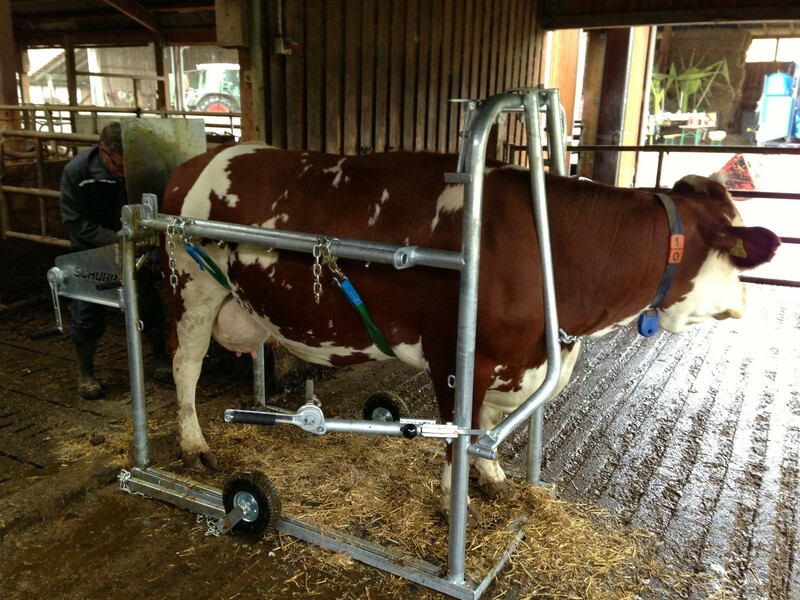 Your cows can walk in at the back. 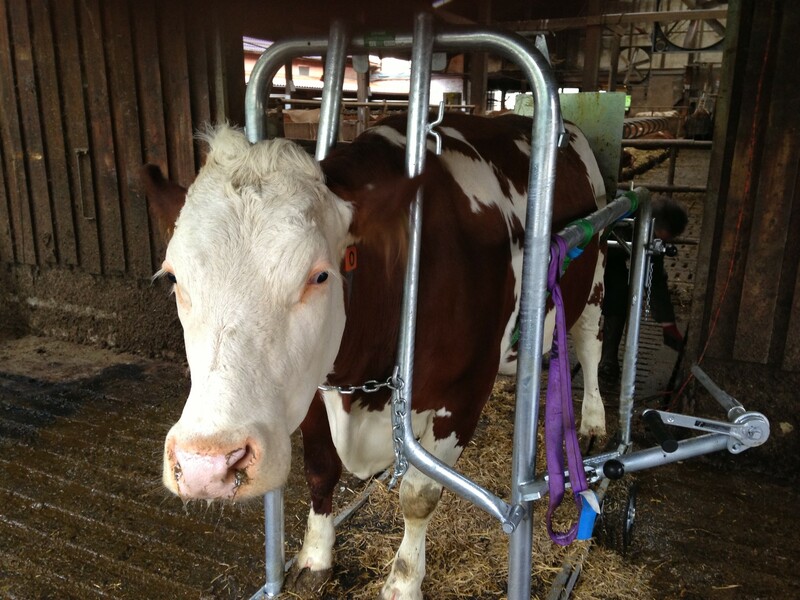 Two neck frames are fixing the cow in the front. 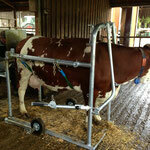 When treatment is finished the neck frames can be opened widely and the cows can walk out at the front. 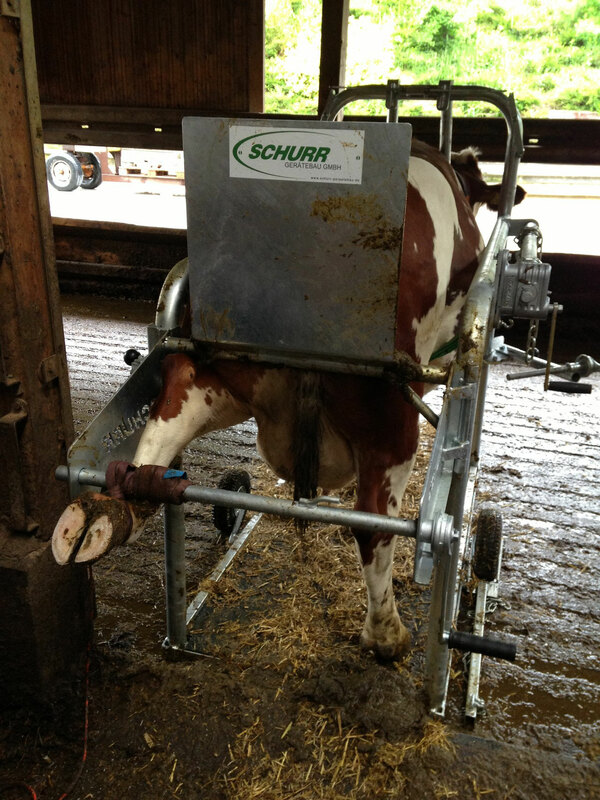 Optional you can order your SCHURR hoof trimming box with 2 rubber/air wheels. 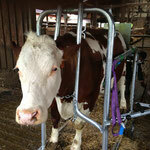 For more transport comfort on your farm. 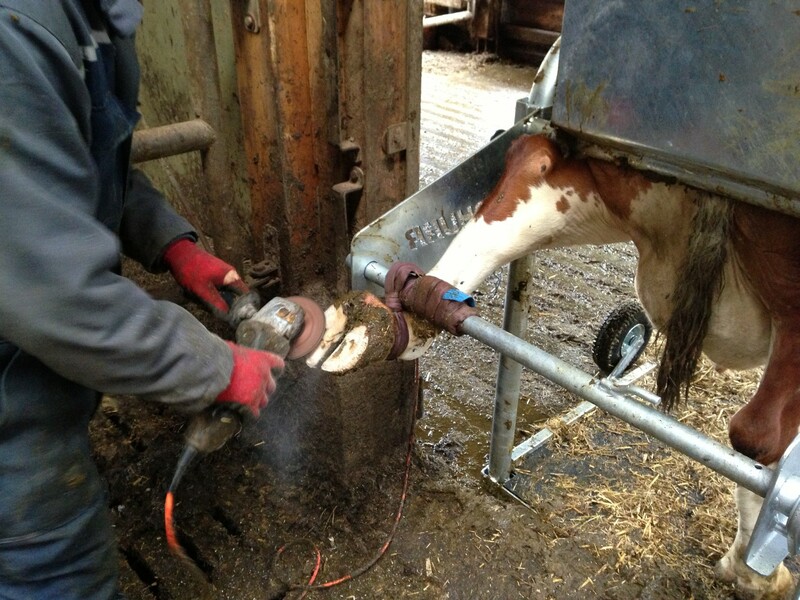 Hundreds of farmers are treating the hoofs of their cows in a SCHURR hoof trimming box! 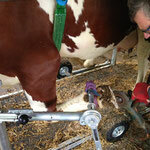 Also farmers with yearly professionals, external hoof trimmers are using our box if lameness occurs. 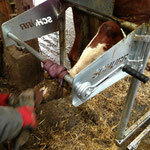 They appreciate a high quality SCHURR hoof trimming box which fulfils all needs to treat the hoofs of their cows! 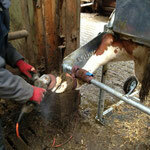 Find a practice video from our SCHURR hoof trimming box. We will send you reference addresses in your area. gladly we publish them our website and reward each shipment with a little gift. soft webbings for fixing the legs incl. 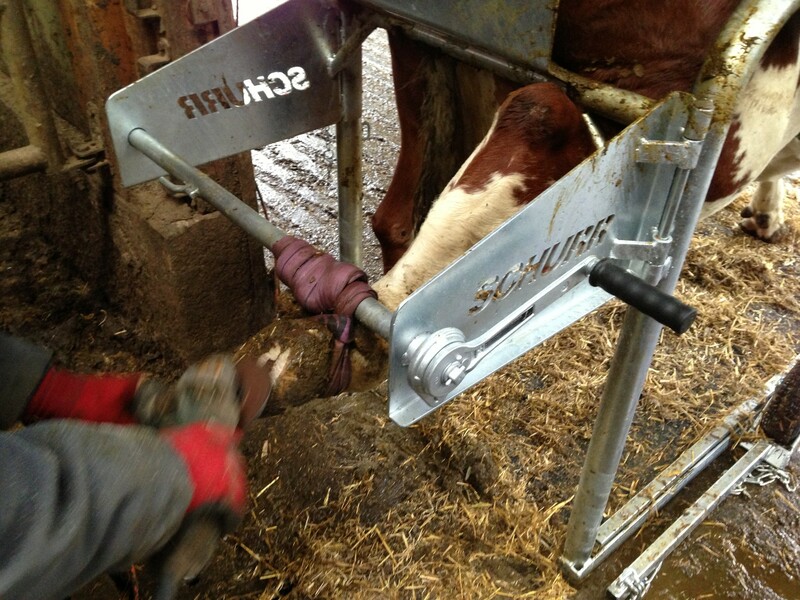 More optional extras on request.